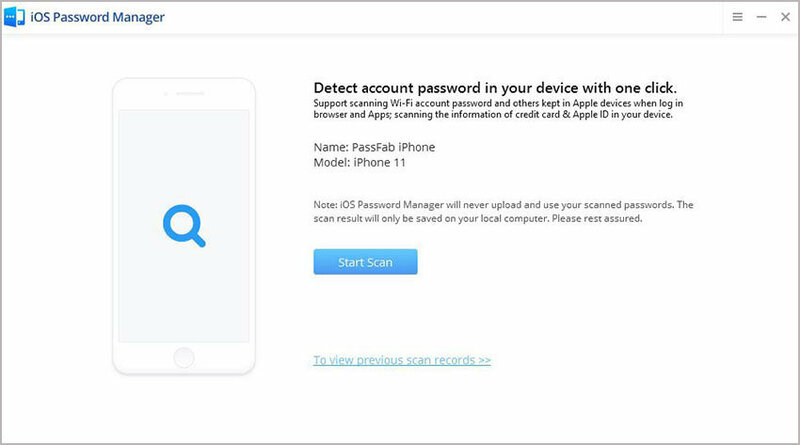 PassFab iOS Password Manager offers you a straightforward way to find, view, export and manage all your passwords that saved on iPhone and iPad with simple steps. You can choose to find Wi-Fi password back, recover lost website and App password, view mail account password, Apple ID login account and credit card information, even to export them. 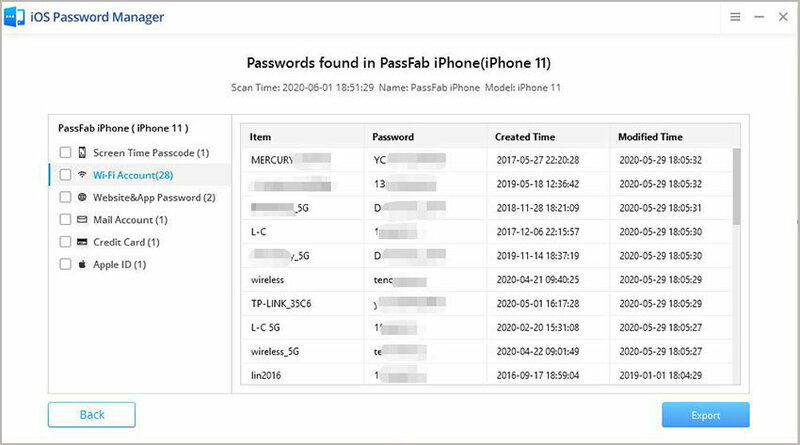 iOS Password Manager makes it simple to seek out Wi-Fi passwords that saved in your iOS devices with just one click. No matter when and how you forgot your Wi-Fi passwords, as long as you have ever connected it in Apple device, it will figure them out. With iOS Password Manager, your website and App login information in iPhone or iPad can be demonstrated and managed in a list without effort. You won’t have the annoyance of forgetting sign in account and login password any more. There are many facts that may cause mail password loss on Apple devices, but this software gives you a hand to get back all your lost mail account and login password, and even show all of them to you in chronological order with ease. Want to figure out your forgotten Apple ID sign in account and login password? Worry not! As your master of memory, this program does well in viewing Apple ID and passwords that kept in your approved iOS devices without using any notebook to record and review. You may feel difficult to remember your own credit card information, like card number and expiration date. Actually this software will list out all of them, and even created time, modified time, credit card holder name, etc. for you within minutes. 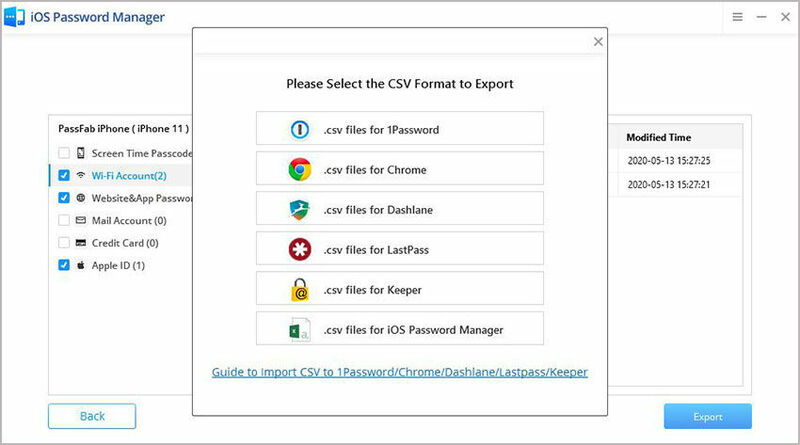 As an easy-to-use password tool, it plays an important role in exporting your password to other common password manager, such as 1Password, LastPass, Dashlane, Keeper and Chrome. iOS 12, iOS 11.4/11, iOS 10.3/10.2/10.1/10, iOS 9/8/7/6/5/4, etc. iTunes 12.9, iTunes 12.8/12.7, etc. "This is the best Wi-Fi password recovery tool that I have used. I forgot my Wi-Fi password and have backup about it, finally this wonderful software solves my issue." "Really nice application. I can’t remember the login password of my mail account, fortunately, this iOS password finder helps me a lot." "It helps me remind my Apple ID email and even export my account information to csv file. So many thanks to this wonderful and professional iOS password manager!"